Close your eyes! It’s time for hide-and-go-seek, Play-Doh style! 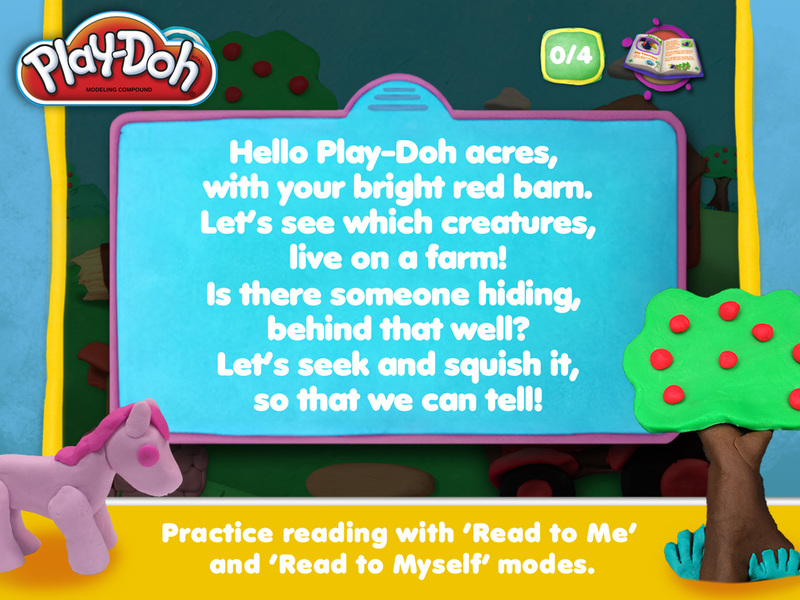 Play-Doh: Seek and Squish is an original storybook made entirely of digital Play-Doh! In this ‘Seek and Squish’ adventure, friendly animals have gathered to welcome you, but suddenly, they are hiding all over a vibrant Play-Doh world. 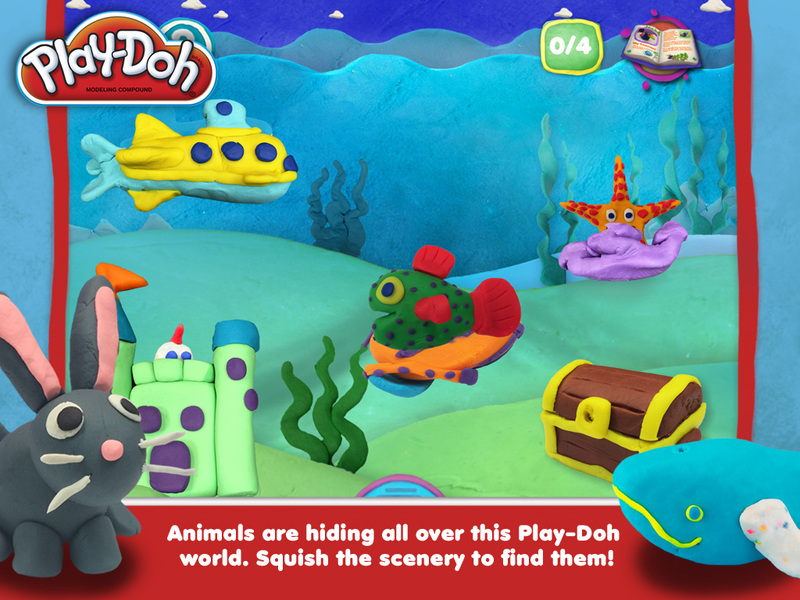 To find the animals, you need to squish your way through a variety of gorgeous Play-Doh landscapes with swipes and taps of the screen. Can you find all the animals in every habitat? This interactive storybook adventure has eight colorful habitats where animals are ready to play hide-and-go-seek with you. Animals pop up everywhere in Play-Doh land, including the Ocean, the Desert, and the Arctic, but some are hiding in places you’d least expect them! Squish a shrub to uncover a whale, but does a whale belong in the forest? If not, it’s up to you to help the whale get home! 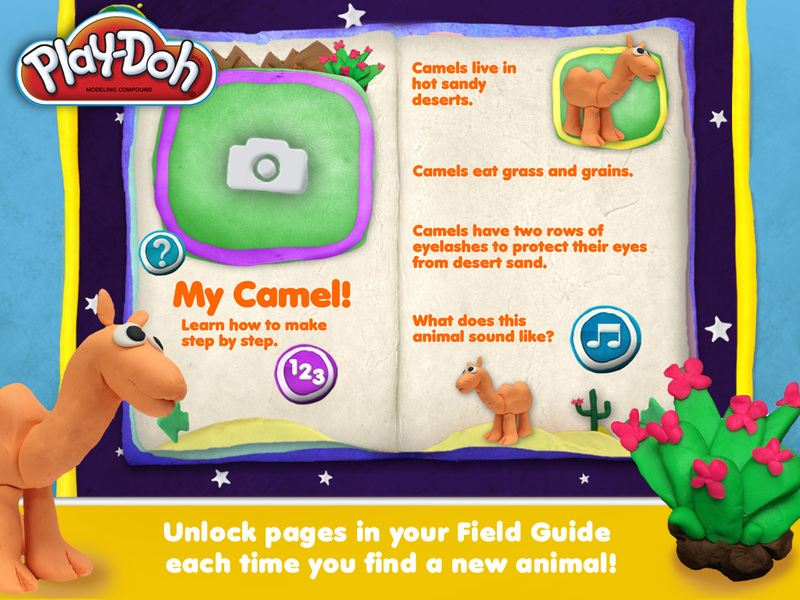 As readers discover each animal, they receive a reward, a new page in their personal Field Guide! Each entry is filled with fascinating facts about each animal, including what it eats and how it sounds. Readers also learn how to make Play-Doh animals at home with the real modeling compound. Readers can snap pictures of their creations to add to their Field Guide! 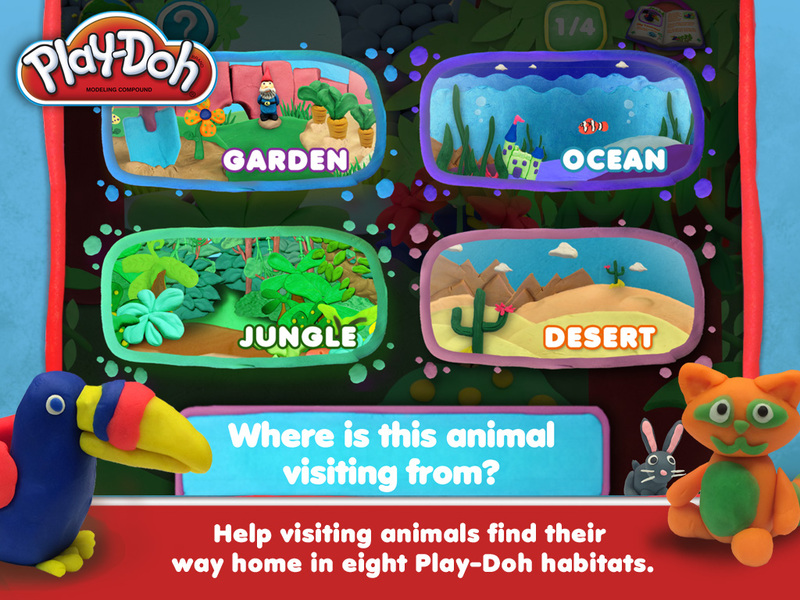 8 colorful, squishable Play-Doh habitats readers can explore: Desert, Garden, Ocean, Savannah, Farm, Forest, Arctic, Jungle. A different ‘squish and seek’ adventure every time– animals change hiding places every time you revisit a habitat! There are fabulous worlds to be found in books. 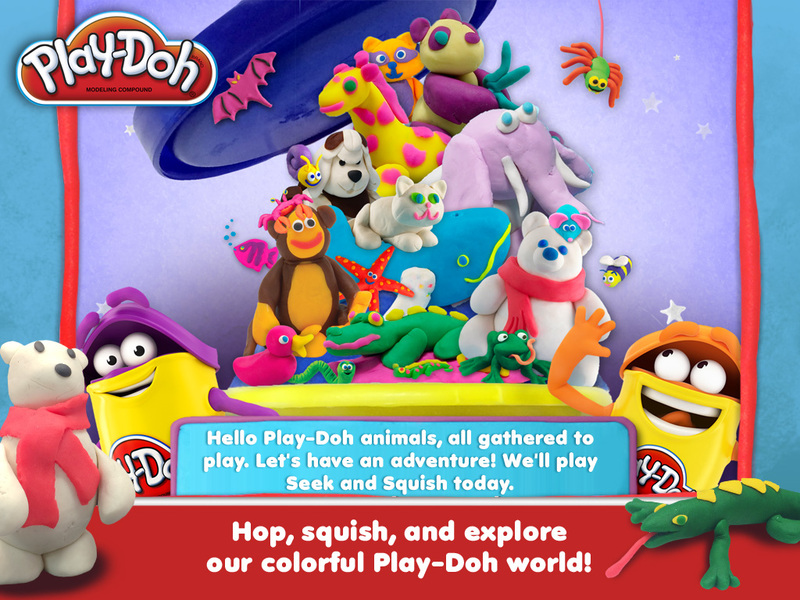 Go exploring with Play-Doh: Seek & Squish!